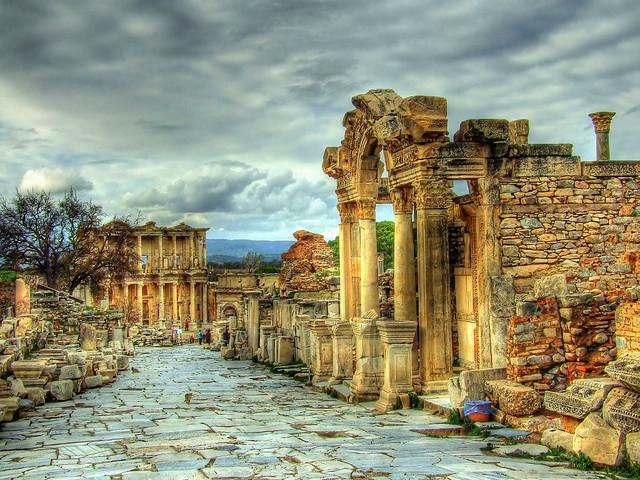 Admire ancient city, Ephesus, House of Virgin Mary. Visit Pamukkale and Hierapolis, admire Domitian Gate, Colannaded Gate, Cathedral, Red waters of Karahayit, Pamukkale Museum & The Travertines of Pamukkale. At 19.00 we will transfer you from our office to bus station for 21.00 You will take overnight bus to Kusadasi with non smoking, fully air-conditioned bus. After breakfast at 08.00 we start for Pamukkale and Hierapolis tour. Domitian Gate, Colannaded Gate, Cathedral, Red waters of Karahayit, Pamukkale Museum & The Travertines of Pamukkale (B,L) When tour finish you are free until 21.00 overnight bus to Istanbul.